Article 15 of the Colombian Constitution of 1991 sets forth the fundamental rights of every individual to intimacy and privacy. Furthermore, Article 15 acknowledges the right to know about, update and rectify personal information that has been collected in public or private databases. This right is considered to be a development of the right to intimacy and a dimension of individual freedom, and is widely known as the habeas data right. Until 2008, the scope of the habeas data right was developed mostly by constitutional case law and some activity-specific regulation, but there were no general or industry-specific laws regarding the matter. In 2008, Congress enacted Law 1266, with the main purpose of regulating use of financial and commercial personal data and, particularly, the use of financial, credit and commercial data used with the purpose of credit scoring. The right developed by Law 1266 is known as financial habeas data. More recently, in 2012, Congress enacted Law 1581 with the purpose of establishing a more comprehensive legal framework, applicable to almost all commercial, non-commercial and governmental activities. Law 1581 determines the definitions and principles that govern data processing, establishes the rights of data subjects and duties of data controllers and processors, sets forth requirements for international data transfers, creates the National Registry of Databases and designates the Superintendence of Industry and Commerce (SIC) as the data protection authority, among others. Colombian data protection regulation is inspired and follows the principles of the European data protection regulation. However, Colombian data protection law is highly focused on consent and provides few exceptions to the general rule that all processing must be authorised by the data subject. Before Law 1266 of 2008 and Law 1581 of 2012, few Colombian organisations were aware of the need to adopt measures to protect personal information or had implemented an organisational culture around privacy. Since the enactment of these laws, both public and private entities have begun the process of aligning formally and substantially with the requirements of the law. 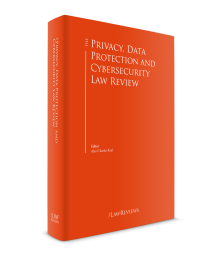 However, it is important to take into account that many aspects of the law and regulation remain unclear and are being still developed by the data protection authority, controllers and processors. During the last year, Colombia has continued to develop guidelines and deepening the authorities positions on data protection. On 10 August 2017, SIC issued Circular No. 5,2 a binding instructions guideline that establishes the criteria to determine if a country has adequate levels of data protection and provides a list of the countries that comply with such criteria. According to the law, international transfer to these countries is permitted. The first drafts of the Circular initially excluded the United States from the list but, after considerable public and academic discussion, the United States was finally included within the list of countries to where international data transfer is permitted. Also, on 18 January 2018, the Ministry of Commerce, Industry and Tourism issued Decree 90 of 2018, that modified some aspects related to the National Registry of Data Bases. Decree 90 extended the term that companies have to register databases in the National Registry of Databases, and established a new threshold in order to limit registration to companies that have assets over approximately US$7 million. Regarding new investigations, Colombia was one of the countries that took action related to the Cambridge Analytica global scandal. In March 2018, owing to possible links with Cambridge Analytica, SIC opened an investigation against the companies Farrow Colombia SAS (Colombia) and Farrow Mexico Sapi De CV (Mexico), that administered the application Pig.gi.2. SIC also ordered the temporary blocking of the application as a precautionary measure while the investigation was carried out. instructions and guidelines issued by SIC, the data protection authority. Legality: data processing is a regulated activity that must comply with the law and applicable regulation. Purpose: all processing must have a legitimate and constitutional purpose that has been notified to the data subject. Freedom (consent): personal data may only be processed after acquiring prior, express and informed consent from the data subject. Personal data may not be obtained or divulged without prior authorisation, or without a legal or judicial mandate that exempts processing from consent. Veracity or quality: information subject to processing must be truthful, complete, exact, updated, demonstrable and comprehensible. The processing of partial, incomplete or fractioned data that may be misleading is prohibited. Transparency: controllers and processors must guarantee data subjects the right to obtain information regarding all data that concerns him or her, at any time and without restriction. Restricted access and circulation: processing is subject to limitations imposed by the nature of the data and constitutional and legal provisions. Processing may only be carried out by persons authorised by the data subject or the persons permitted by law. Except for public information, personal data should not be available in the internet or any other massive communication or dissemination media, unless the access is technically controlled to provide access only to data subjects or authorised third parties. Security: data processing requires the adoption of all technical, human and administrative measures that are necessary to provide security and avoid unauthorised or fraudulent adulteration, loss, consult, use or access of the data. Confidentiality: everyone who intervenes in the processing of personal data not classified as public, is required to guarantee the confidentiality of the information. Controller: a natural person or legal entity, private or public, that decides the database and the processing of the data, whether by itself or together with third parties. Processor: a natural person or legal entity, private or public, that performs processing on behalf of the controller, whether by itself or in association with others. Personal data: any information linked or that may be associated with one or more determinate or determinable natural person. Database: an organised set of data that is the object of processing. Data subject: a natural person whose data is the object of processing. Processing: any operation or set of operations regarding personal data, such as collection, storage, use, circulation or suppression. Data privacy laws provide the following classification of data. Personal data that is not semi-private, private or sensitive. Among others, the following data is considered to be public: data related to marital status, profession, qualification as a merchant or public servant, etc. Because of its nature, public data may be contained, among others, in public records, official bulletins or judicial decisions (not sealed). Data that is only relevant to the data subject owing to its intimate and confidential nature. Data that affects the intimacy of the data subject or that has the potential of generating discrimination against the data subject when unduly used. Examples of sensitive data is that which reveals the racial or ethnic origin of the data subject, his or her political orientation, religious or philosophical convictions, participation in unions, human rights organisations or political parties, as well as those data related to health, sexual health or biometric data. Data that does not have an intimate, confidential or public nature, and knowledge or publishing of which interests not only the data subject but also a group of people or society in general. inform the data protection authority when data breaches occur. Although Law 1581 was passed almost seven years ago and many organisations and entities began complying with the law, it was not until a couple of years ago that most organisations started implementing a real culture around data protection. This change was fostered by the obligation to register databases in the National Registry of Databases, which requires companies to assess and declare the level of compliance with the law. if they believe a processor or controller is not respecting their rights or complying with the law, file a complaint with the Superintendence of Industry and Commerce, which may admonish the controller or processor, or decide to open an administrative investigation. Although Law 1581 establishes the general regime applicable to most activities and industries, it expressly excludes processing of financial privacy matters, which is regulated by Law 1266 of 2008. Law 1266 regulates data processing for the purposes of calculating credit risk, and establishes rights and duties for sources, operators and users of financial data related to monetary obligations. In our opinion, the strict consent-driven approach of Law 1581 may unfortunately disincentivise technological innovation, owing to the constant change of purposes and uses that technological advances entail, which are sometimes difficult to foresee at the moment when consent is collected from the data subject. It is important to note that Law 1581 specifically classifies biometric data (which includes facial recognition data) as 'sensitive' data, and provides specific requirements to acquire consent to use such data. In 2015, SIC issued a guideline for using cloud computing according to the data protection regulation. This guideline establishes special recommendations for clients and providers when hiring or offering cloud computing services. The National Council for Economic and Social Policies (CONPES), has recently issued a paper8 that recommends that the government makes a plan of action in order to: (1) increase the availability of data of public entities in order for the data to be accessible, usable and of quality; (2) provide legal certainty for the mining of personal data; (3) increase the available qualified professionals to process data; and (4) generate a data culture in the country. Regarding the legal framework, the CONPES recommends that the country creates a better classification of personal data and defines more clearly the conditions of data processing in light of the new technological advances and the principle of accountability. Regarding international transfers, Decree 1377 of 2012 differentiated between 'transfers' and 'transmissions' of personal data. Pursuant to Decree 1377, 'data transfers' take place when the data is shared with a controller, while 'transmissions' occur when the data is shared with a processor. In light of the above, transfers of data to countries included in the list published by SIC, or that provide an adequate level of protection of personal data, are permitted. Transfers sent to a country that does not provide an adequate level of protection of personal data require a declaration of conformity from SIC. The internal manual of policies and procedures, on the other hand, is expected to include the internal proceedings and policies that the company has put into place in order to comply with the data protection regulation. Furthermore, organisations are expected to comply with the principle of accountability, set forth in Decree 1377 of 2013 that establishes that controllers must be able to demonstrate that they have implemented internal policies to comply with Law 1581 that are proportional to: (1) the organisation's nature, structure and size (2) the nature of the data that is being processed (3) the kind of processing being made and (4) the potential risks that processing may cause. The internal policies must guarantee the existence of an administrative structure proportional to the structure and size of the company, the adoption of mechanisms to implement the internal policies, including implementation tools, training and education programmes, and the adoption of proceedings to answer any queries, petitions and claims made by data subjects. Furthermore, the Superintendence of Industry and Commerce has issued the Guideline to Implement the Principle of Accountability, which serves as reference to organisations in order to implement the principle of accountability within their organisations. Las 1581 requires companies to register the existence of their databases in a National Registry of Databases administered by SIC. Although the obligation exists since Law 1581 was enacted in 2012, the deadline for organisations to comply with this requirement has not yet ended. Owing to the novelty and cumbersomeness of the registration proceeding, the government has extended the term for registration several times. Article 10 of Law 1581 establishes some processing of personal data that do not require consent of the data subject. Among them, Article 10 sets forth that controllers or processors are allowed to disclose or provide personal data to public or administrative entities that require it, as long as these entities are acting within their powers, or when the disclosure is requested by judicial order. Discovery and disclosure of personal data to foreign administrative and judicial authorities should comply with international treaties signed by Colombia, and either be channelled through a rogatory letter or other proceedings included in the Hague Convention, of which Colombia is signatory. Colombia's data protection authority is SIC and, within it, the Deputy Superintendence of Personal Data Protection. As the data protection authority, SIC is in charge of enforcing data protection regulation and has the power to carry out unannounced audits and raids, as well as investigate and penalise non-compliance with the law. order the immediate or definitive closure of operations related to sensitive data. Since 2010, SIC has imposed more than 620 sanctions for a total of 21 million pesos. One of the most important newspaper and media companies in Colombia was recently fined for failing to suppress the contact data from a user after the user had repeatedly asked the company to delete his data from all databases of the company. Once the company received the request, it proceeded to delete the data from two databases but the data remained in the main database of the company, so the user continued to receive commercial information. The graduation of the penalty took into account that this was not the first time the company had been investigated for the same kind of complaint. The investigated company was a retail seller dedicated to telephone marketing. The company had built its databases with contact data obtained from telephone directories. In the view of the company, telephone directory data was public data and thus exempted it from acquiring consent from the data subject. SIC ruled that the telephone number of data subjects is not considered public data but as semi-private data, and, therefore the company required express consent from data subjects in order to include them in the company's marketing database. In light of the above, SIC ordered the suspension of the company's activities for six months while the company obtained proper consent from data subjects. The decision was appealed and the final decision is still pending. Law 1581 does not provide for specific remedies or financial recovery for private plaintiffs. However, other actions such as class contractual or tort actions are also available to data subjects, but are still not common. According to Law 1581,11 the Colombian Data Protection law applies to data processing that is carried out within Colombia or when according to the law or international treaties Colombian law is applicable to the controller or processor located outside Colombia. Jurisdictional issues for multinational organisations may arise owing to the interaction between local corporate vehicles and their mother companies, which may entail a transfer or transmission of personal data. Colombian data protection regulation requires consent for almost any kind of processing and provides few exceptions to the consent rule. Therefore, it is advisable for multinational organisations to verify that their internal corporate policies (particularly those related to transfers and transmissions in and out of the country) comply with local standards. The Colombian Criminal Code punishes several crimes related to cybersecurity and data protection infractions. Among them, the Criminal Code punishes abusive access to computing systems, illegitimate blocking or hindering of computing systems or telecommunication networks, interception of computing data, computing damages, use of malicious software, illegitimate use of personal data and phishing, among others. Pursuant to Law 1581, controllers must report to the SIC any security incident that enables or threatens unauthorised access or use of personal data. Controllers must report the incident within 15 business days of learning of the incident, and include in the report the kind of incident, the date of occurrence and the date on which the organisation learned of the incident, the kind of data and number of data subjects affected, causes and potential consequences of the incident and correctives that the organisation has applied or will apply. Organisations may present the report directly to the SIC or through the National Registry of Databases platform. Article 27 of Law 1581 established that the government must adopt a regulation regarding binding corporate rules. Although SIC has conducted a study on the matter, the government has not yet issued the regulation, but is expected to do so. On the other hand, it is important to note that although the EU's new General Data Protection Regulation is not applicable in Colombia, many domestic organisations are interested in complying with such regime in order to be able to offer their products or services in the EU. 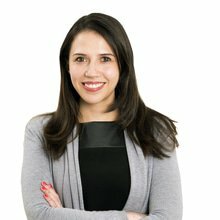 1 Natalia Barrera Silva is a partner at Márquez, Barrera, Castañeda & Ramírez. 2 Later amended by Circular 008 of 2018, to include Japan in the list of countries that have adequate levels of data protection. 3 Regulatory Decrees No. 1727 of 2009, 2952 of 2010, 1377 of 2013 and 886 of 2014. 4 Law 1581, Title II, Article 4. 5 Article 7, Law 1581 of 2012. 6 See, for example, Resolution No. 1995 of 1999 of the Ministry of Health, Decisions C-264 of 1996 and T-1105/05. 7 See, for example, Decisions T-768/08 and T-405/2007 of the Constitutional Court. 8 Council CONPES No. 3920 of 'National Policy of Data Exploitation', National Department of Planning. 10 According to Circular No. 005 of 2017, the following countries are considered to have an adequate level of protection of personal data: Germany; Australia; Austria; Belgium; Cyprus; Costa Rica; Croatia; Denmark; Slovakia; Slovenia; Estonia; Spain; the United States ; Finland; France; Greece; Hungary; Ireland; Iceland; Italy; Japan; Latvia; Lithuania; Luxembourg; Malta; Mexico; Norway; the Netherlands; Peru; Poland; Portugal; the United Kingdom; the Czech Republic; the Republic of Korea; Romania; Serbia; Sweden; and countries that are considered to have an adequate level of protection by the European Commission. 11 Article 2, Law 1581 of 2012.